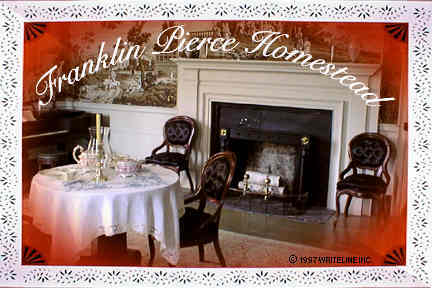 Front parlor at the Pierce Homestead. 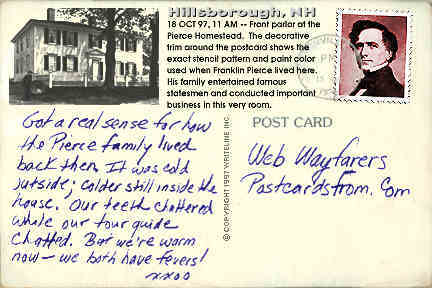 The decorative trim around the postcard shows the exact stencil pattern and paint color used when Franklin Pierce lived here. His family entertained famous statesmen and conducted important business in this very room.